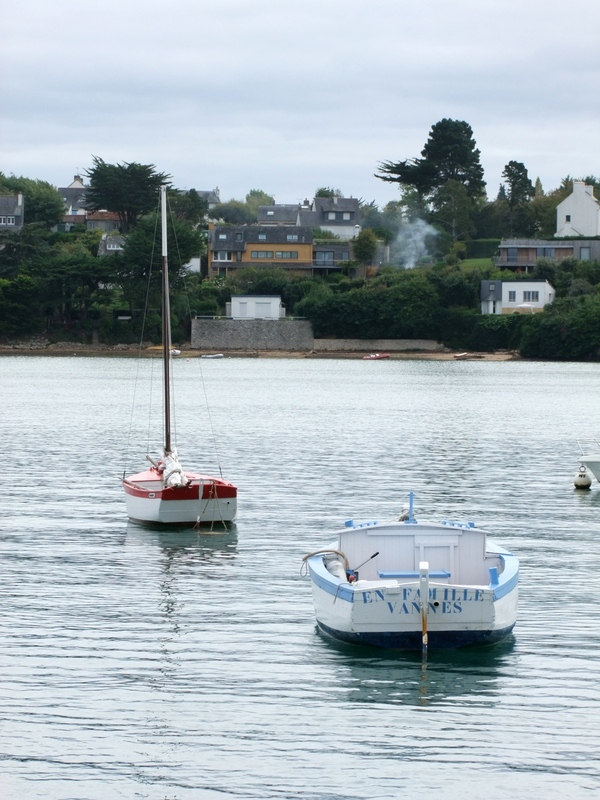 There always seems to be something special, slightly slow and old-fashioned about an island, and the charming Ile aux Moines set in the Gulf of Morbihan on the West Coast of France is no exception. Here is a first instalment of photos of boats and scenery from the island taken during a holiday trip there this summer. We liked it immensely. 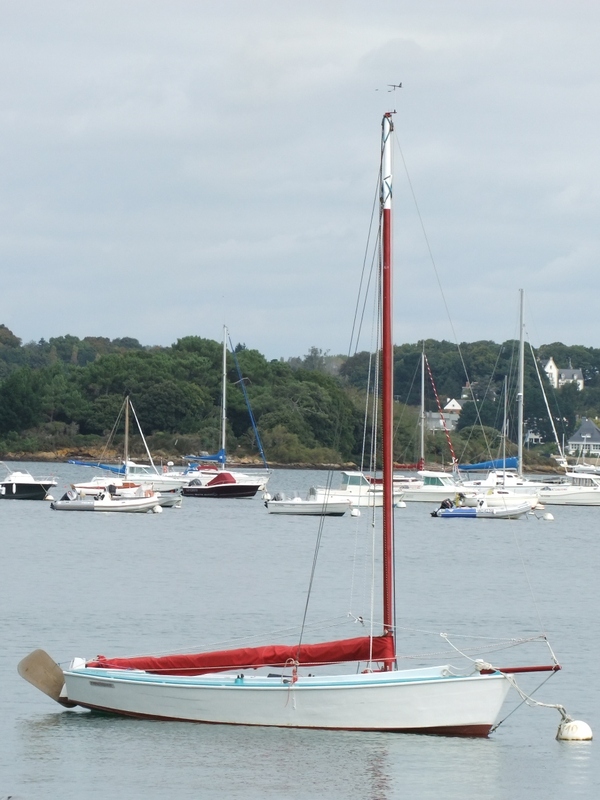 I have a half-cooked plan that when I eventually retire some time in my late sixties, one of the first things I’d like to do is to sail to Morbihan and spend a couple of months both on the island and boating around it in the company of friends who will each drop by for a few days. Well, it’s a nice idea, and dreams don’t cost too much while they’re still just an idea. 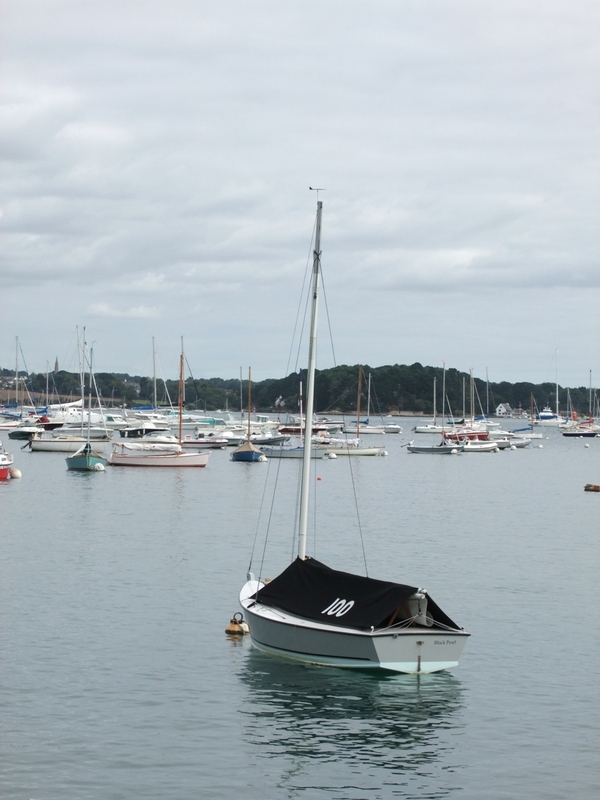 In the meantime, there are the photos and a few things to find out about – including the hard-chine one-design dinghy class that’s so popular in the area. I’d just like to add that it was Francois Vivier’s wise recommendation that took us to the Ile aux Moines. Thanks Francois! 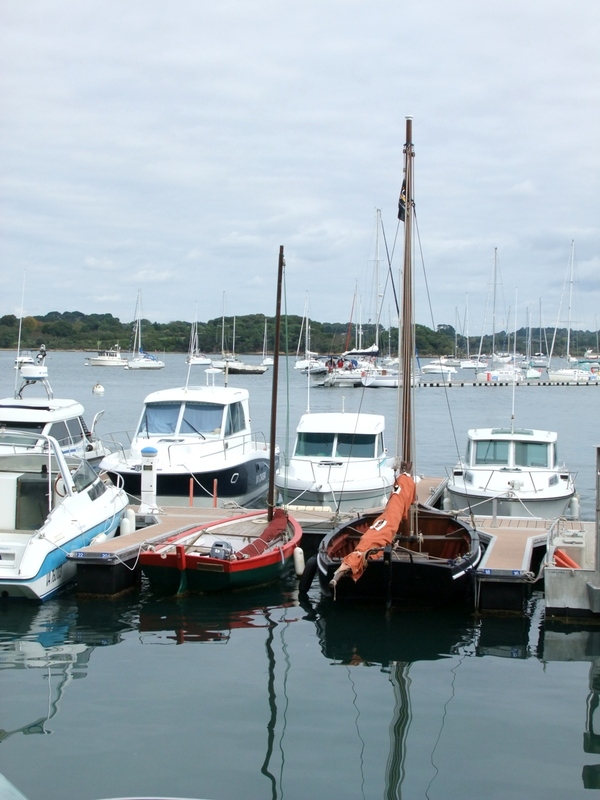 I did Morbihan Week in 2003 with my son, in our David Moss canoe yawl. Fantastic place and experience. Notable for the tides which run up to 9kts through some of the necks, and the French riot police, the CRS, for whom marshalling the event in their RIBs is probably a nice change from lobbing tear gas — which proved unnecessary the year we were there. They had occasion to tow us, probably the only time a Moss canoe yawl has planed. 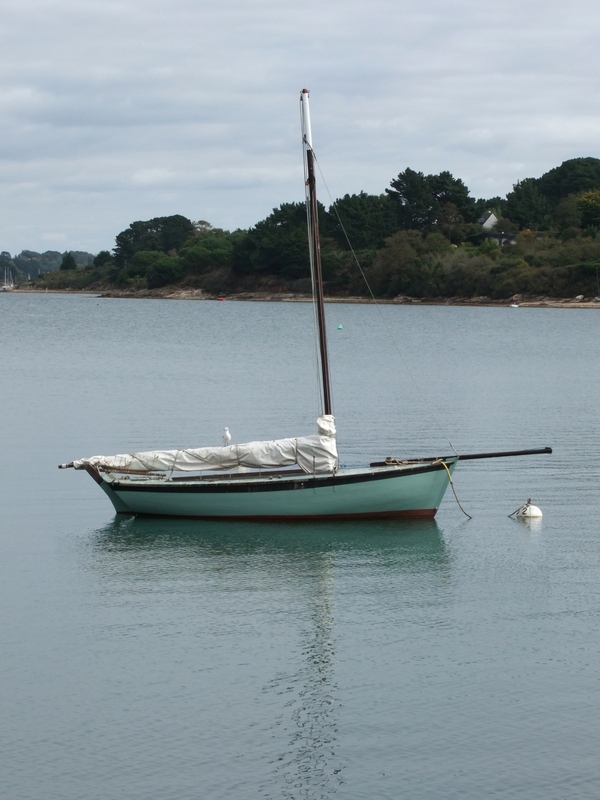 It's worth getting and reading "Oyster River" by George Millar (Dovecote Press reissued it a few years ago) – his account of the summer of '63 he and his wife spent there on his Fred Shephed yawl "Amokhura". Someone said he was incapable of writing a dull sentence, and they were right, very engaging writing, brimming with observation. Nice pics – did you see any of those chine boats under sail ? Let me know your address when you get there Gav! I enjoy your blog, Gavin ! In the gallery, the black "ketch" (!) 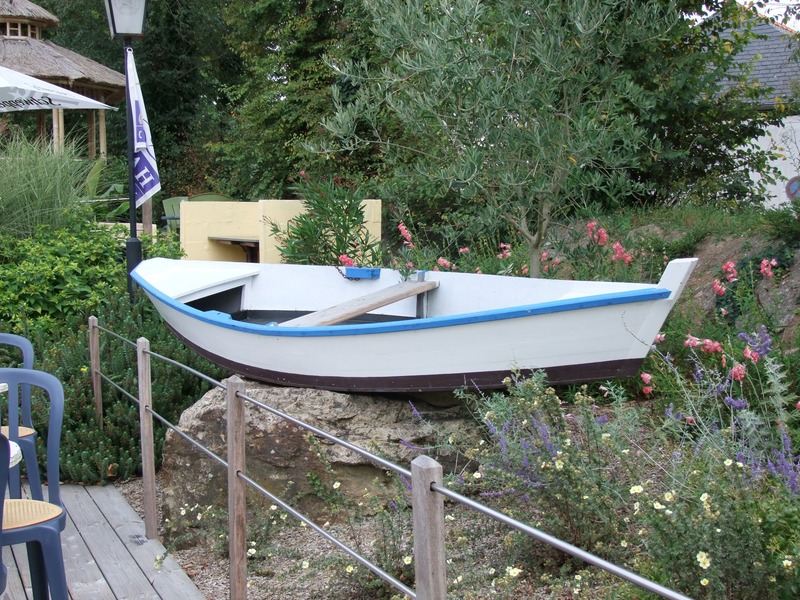 is the famous "sinagot", a traditional fishermans boat of this micro-sea… You write than the golf of Morbihan (Mor bihan = Sea little) is on the west coast of France… oh la la ! It is really and only the southern coast of Brittany (celtic kingdom defeated in 1488 and since ruled by the Froggies). Thanks Yves. I'm only a poor Englishman and there is much I need to know! 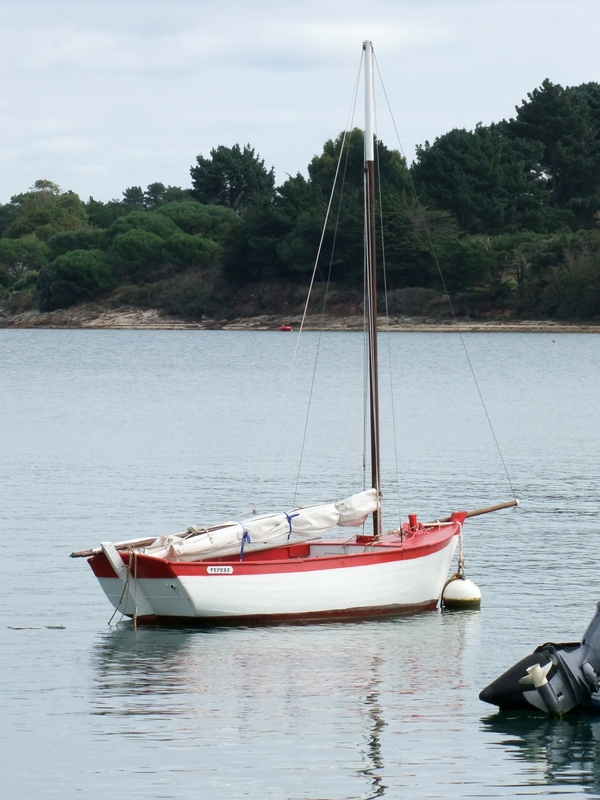 When you sail in Brittany, don't forget the Breton flag! More important than the french one. Remenber, much of Brittany was settled by the Welsh and Cornish [hence Cornuaille] when Anglo-Saxons expanded within Britain. In the 380s a large number of British troops in the Roman army may have been stationed in Armorica. The 9th century Historia Brittonum states that the emperor Magnus Maximus, who withdrew Roman forces from Britain, settled the troops there. Other British authors (Nennius and Gildas) mention a second wave of Britons settling in Armorica in the following century to escape the invading Anglo-Saxons and Scoti. Modern archaeology supports a two-wave migration. That may be the explanation we Brits needed… Thanks John!